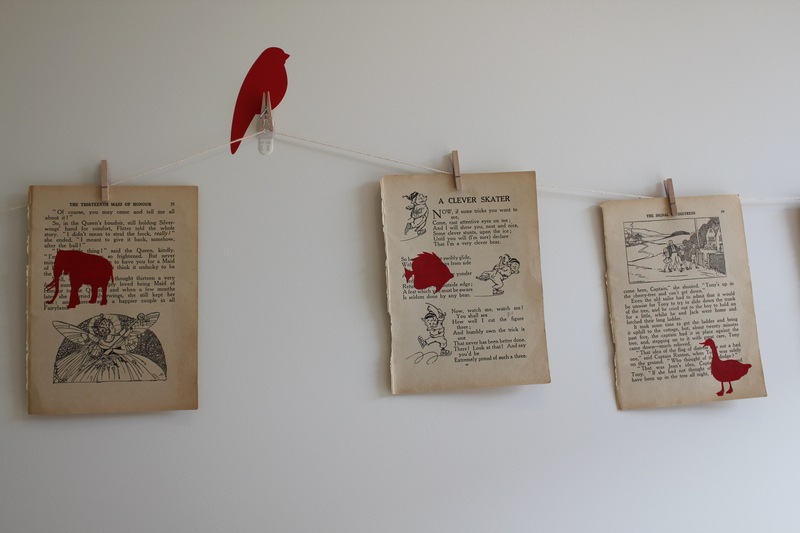 Upcycling – old book pages for a bunting | Hey Bernice! 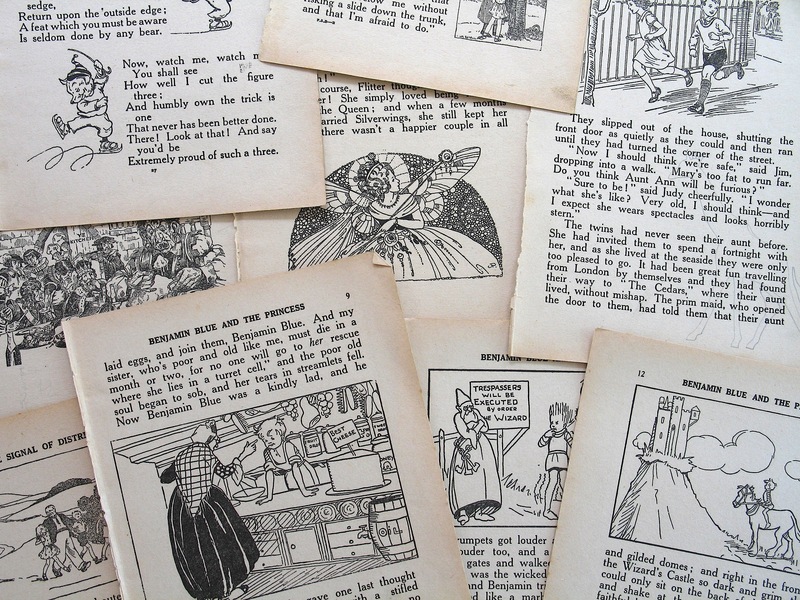 I love old books and magazines – it’s our history documented. They should not be kept in the back of the attic, or discarded – we should be reminded of our past, and how things used to be. 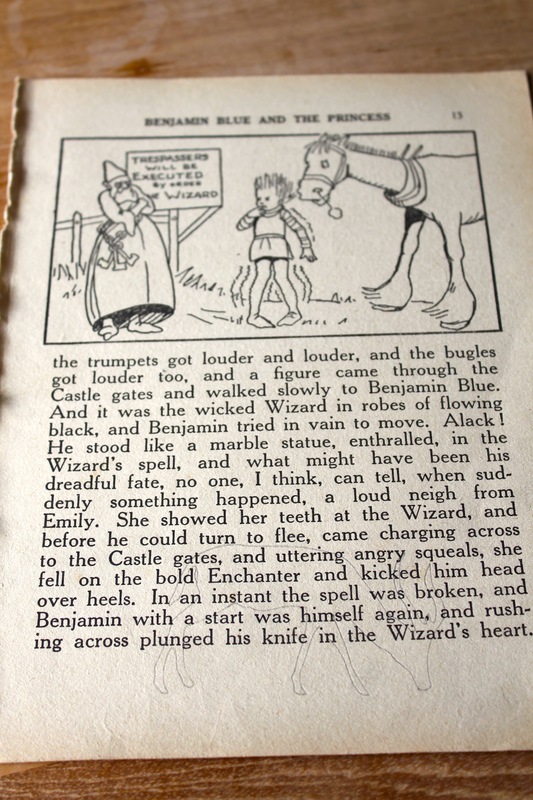 I have a collection of old magazines and books from various places… I don’t go specifically looking for them, but while in an antique store, junk market, old book shop or at a garage sale I will buy something that catches my eye. I then look through them and pull out pages that I feel I could use for something. I use the term ‘something’ very broadly, I never really know what I am going to do with most things I collect… I will sit on the items for some time and then inspiration strikes, and I will dig out the pages. It’s this ‘collect and use later’ trait that frustrates my husband somewhat, because everything collected (awaiting the inspiration bit) has to be stored somewhere! He is slowly getting used to this. You will notice in our new house we have an abundance of storage! This is one of those inspiration moments…. I needed something to place on the nursery wall to cover a wide expanse, but didn’t require me to put a lot of nails/screws, or large holes in the wall (living in a rental property whilst we build has restricted my nursery decorating plans quite dramatically!). Unfortunately the nursery is painted a rather vibrant light blue – which limits what I can place on the wall (without it becoming too busy). The light blue is obviously not my colour of choice for a little girl’s room, but I have accepted that, moved on, and am working with it (just!). 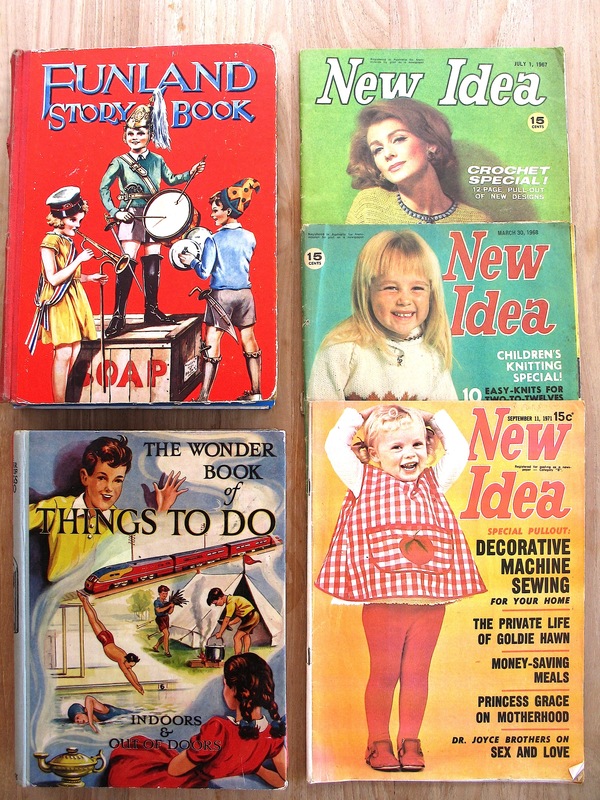 I was scanning the latest House & Garden magazine, and spied something on the wall of one of the houses that prompted this spurt of inspiration for my old books. 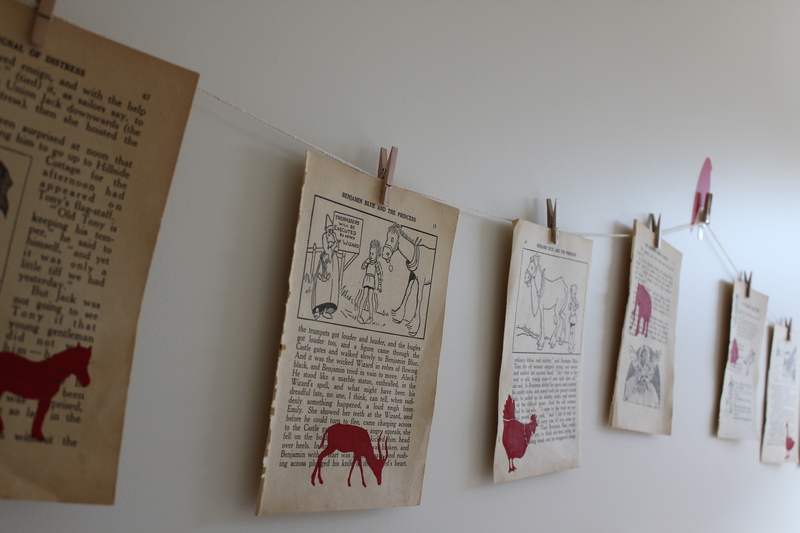 Taking the old pages I had collected from a children’s book over 2 years ago, I decided to hang them on string by miniature pegs. To create a little interest I used the animal stencils I purchased several months ago (for an entirely different purpose – I am yet to complete that one!) to trace an animal on each page. You can get stencils from most art supply shops, my stencils are from Kaiser Craft (I bought mine from the Kaiser warehouse shop in Geelong) however they also supply to many other stores. I had decided my nursery colour theme was going to be ruby red, so the animals had to be red! I drew an animal onto each page in pencil. I then painted each animal using a good quality acrylic paint, and fine paint brush. I used a white string to hang the pages across three small nails I placed in the wall (one was already there, so I only had to add two more small holes in the wall). 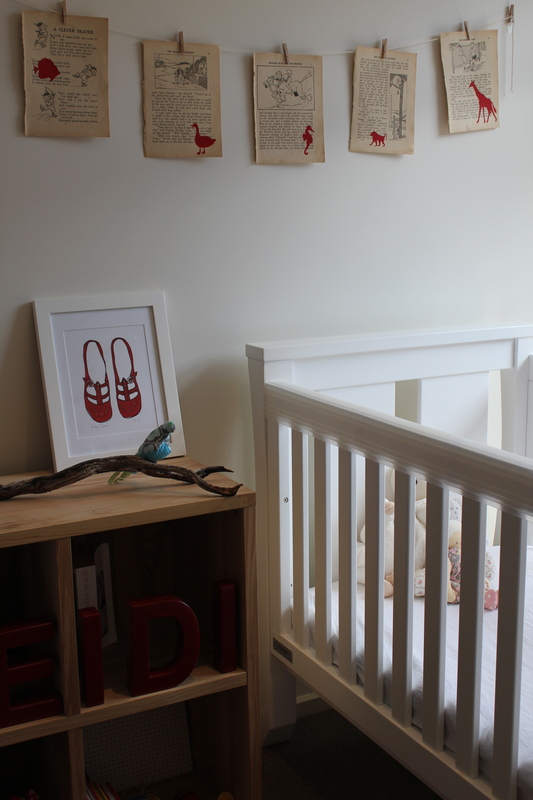 The finished product covered the horizontal length of the nursery wall perfectly, with very little impact on the rental property wall. This idea can be done by anyone – even if you don’t think you have any artistic flare. 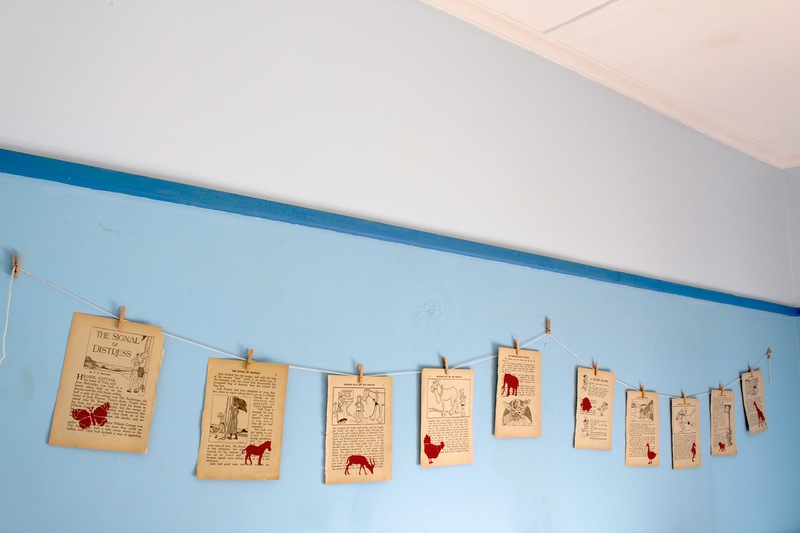 Once you’ve found your book(s), you use the stencil to draw the animals, and string and pegs to hang up – voila! I have used these old pages in a different way on previous occasions. Rather than hanging by pegs from string, I have stuck the pages to pieces of wood (cut specifically to the size of the page). I have then hung the pages individually like pictures on the wall. Pingback: Heidi’s Nursery – an eclectic crafty heaven… « Hey Bernice!